Home / CAR / SUBWOOFERS / 8" / JBL STAGE 800BA ACTIVE 8INCH SMALL LOADED SUBWOOFER*UNBELIEVABLE! 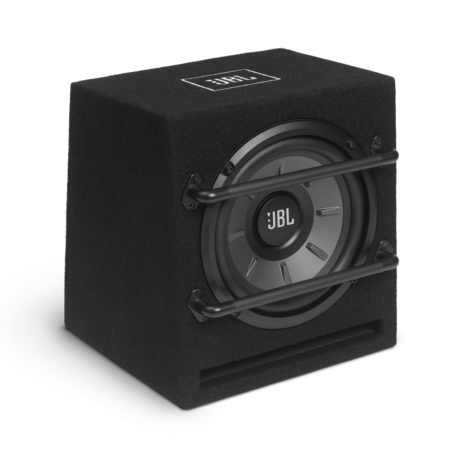 JBL’s jaw-dropping 800BA subwoofer measures less than a cubic foot and delivers an impactful performance. Inside the slot-port enclosure is a system tuned 100 watts RMS class D amplifier and 8″ (200mm) which delivers full bodied bass. JBL’s jaw-dropping Stage 800BA subwoofer measures less than a cubic foot and delivers an impactful performance. Inside the slot-port enclosure is a system tuned 100 watts RMS class D amplifier and 8″” (200mm) subwoofer. 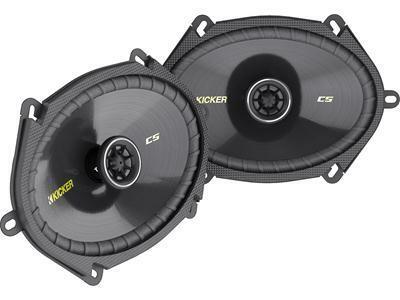 The compact Stage 800BA will provide tight, deep bass in any car audio system. 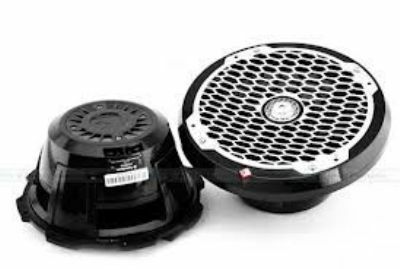 The subwoofer and amplifier have been engineered as a system to ensure great distortion-free bass even at high output levels. The rigid lightweight polypropylene woofer supplies the signature punch and clarity of JBL bass. When it’s time to show and shine, the bass EQ control is good for a 9dB boost. With the legendary JBL® logo stamped front and centre on the dust cap and the oversized protection bars, you have a bass system ready to do business. Product Features: CHECKOUT THE SIZE!!! 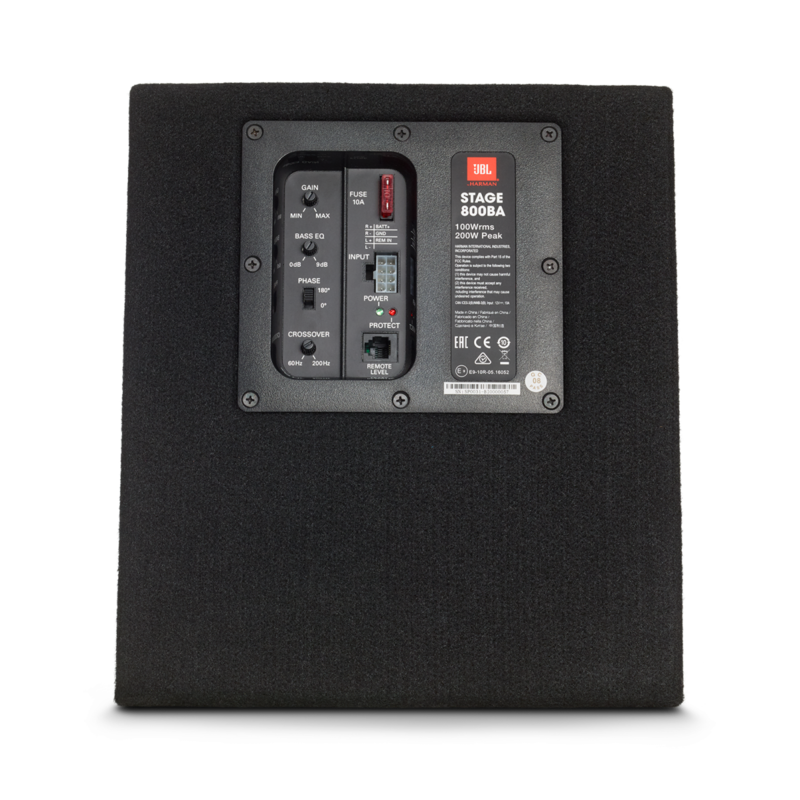 JBL’s slot-port enclosure is engineered and “tuned” to the optimal frequency by the JBL engineering team. The enclosure material is MDF (medium-density fibreboard) to minimize resonances and unwanted ring. Lightweight but stiff polypropylene woofer cone provides clean reproduction and superior durability in an easy listening or high volume venue. 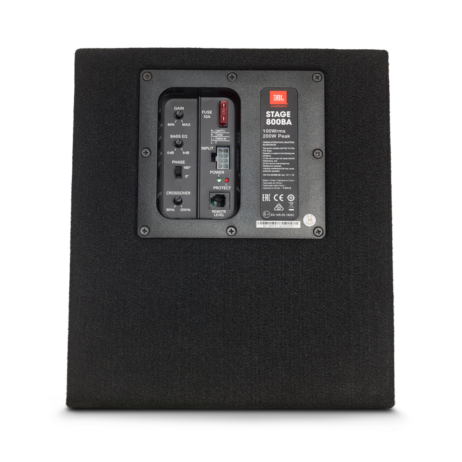 The JBL subwoofer system’s built-in amplifier provides electronics matched and optimized for woofer characteristics and enclosure acoustics. Class D operation also means the amplifier runs cooler and draws less current from the vehicle’s electrical system. The RBC Wired Remote (optional extra) is an easy installation and can be mounted for convenient volume adjustment from the driver’s seat, which sells separately on JBL website. The oversized protection bars project a “serious car audio enthusiast” statement, but more importantly they do an excellent job of protecting the speaker from accidental damage. 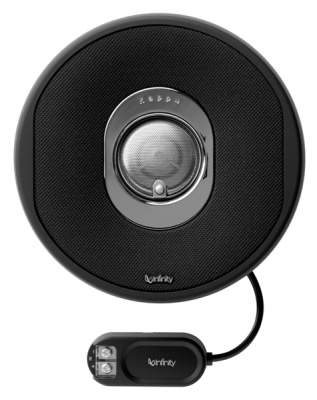 This is JBL—the speaker and sound that has excited audio enthusiasts for over 70 years. And there’s nothing better than riding with JBL sound.